The production and use of drugs is a complex phenomenon that has multiple manifestations depending on the historical moment, the cultural environment, the economic model, the particular circumstances of the country, the various interpretations by the subjects, and the differences between substances. Nevertheless, it is often reduced and homogenized to the “drug problem”, as if it were a uniform, unhistorical phenomenon. In the last hundred years, this issue has become a “social matter”, and with the aid of different social actors, including the State, it has been constructed as a social problem. Drug control policies express tensions, contradictions, and conflicts in regards tohow to regulate consumption and production. Within this framework, local and international debates on drug policy are developing. In the Latin American context – characterized by enormous social inequality, income disparity, and poverty – these debates cannot ignore the consequences that the drug control policies have produced in the region: social isolation, a disproportionate incarceration of drug users and small dealers or “mules”, social violence, environmental damage, and violations of basic human rights. 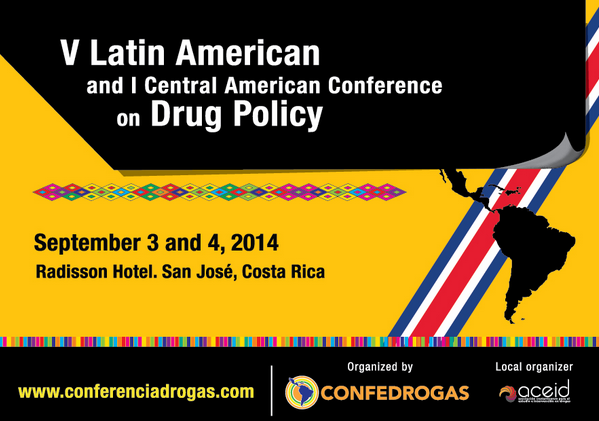 In this edition, the 5th Latin American and 1st Central American Conference on Drug Policy aims to act as a platform for discussion and elaboration of solution-oriented proposals. This entry was posted in Conference by researchingsecurity. Bookmark the permalink. Here is a draft of a “Proposed Amendment of UN Drug Treaties” of the nature and extent needed at the UN and that hopefully will find support at the Costa Rica 5th Latin American Conference on Drug Policy and 1st Central American Conference on Drug Policy. This Proposed Amendment was drafted by me, a former Chicago prosecutor, Illinois 1970 Constitutional Convention delegate and municipal attorney, on behalf of Law Enforcement Against Prohibition, http://www.leap.cc, that adopted the document is its own.